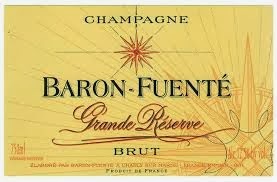 Now everyone loves Champagne! Not so? Or at least the luxury image and lifestyle associated with Champagne. Let’s toast to that… Chin! À votre santé! 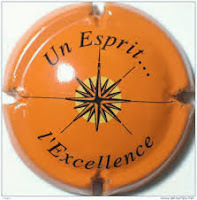 Pour avoir un verre de vin avec nous. And being on the French Pavilion, Thierry knows a lot of people… So we end up chatting merrily until the lights fade and the guys gently direct us through quiet halls, opening a shutter door to let us out. Here it’s dark and raining. I’ve got my full-length raincoat on and my red luggage case on wheels in my hand. You see, I’ve arrived very early this morning from Frankfurt with Lufthansa and went straight to the expo. Thierry, always the organizer and superb host, arranged a lift with a friend to his hotel. Thereafter we’ll all go for dinner at their favourite restaurant in the old town. Only then he’s going to take me to my hotel on the outskirts of the city to book in... He finally drops me off minutes before midnight after a raucous night on the town with a group of lively Frenchies. 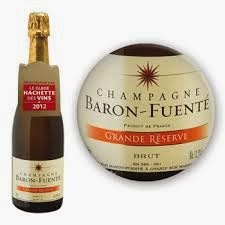 Needless to say two days later with the show over, Thierry loads me with gifts of French wines and my favourite, Champagne BARON-FUENTÉ Grande Réserve Brut. This is going to be my special gift to my host in Warsaw. Now not having been to Europe since 2005 I’m unfamiliar with the new rules and put my treasured bottle in my hand luggage when checking in automatically at Düsseldorf airport. At customs I take off and take out whatever I think is necessary, happy that I’m early for the flight. The official looks at my hand luggage and the scanner with the Champagne image, showing it to his colleagues and laughs merrily. You’re going home after the expo? he says in accented English. Fellow passengers stop to watch the show. Yes, uhm... no, I’m visiting a client. That’s for him. Ah, sorry monsieur, you can’t take fluids inside the cabin. Champagne! I can’t take this from you. You must go check it in. 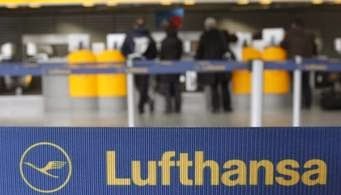 I murmur in gratitude, hurrying back to the Lufthansa check-in counters. To check in a second bag will cost fifty Euros monsieur. Or else you can take it out and leave it here. Thank you, but I can’t open the bag. The keys are in my case which is already checked in. It was a gift, I have no idea. Well it should be around ten to twenty Euros, maybe more. You really want to pay fifty Euros? No it’s fine monsieur, we’ll take the bag. I freeze, staring at her in disbelief. She just smiles sweetly, printing out the ticket, attaching it to the bag. Ecstatic, I thank her profusely, and almost run back to the friendly officials at customs. Come December 2013 an English gentleman from London is in the office to collect his winesave® can. Seeing the BARON-FUENTÉ Champagne stopper on the desk, he points to it. I like that; can it seal normal wine bottles as well? Hmm… perfect! Get me six please. Well, you’ll have to make do with the Champagne and the painting. 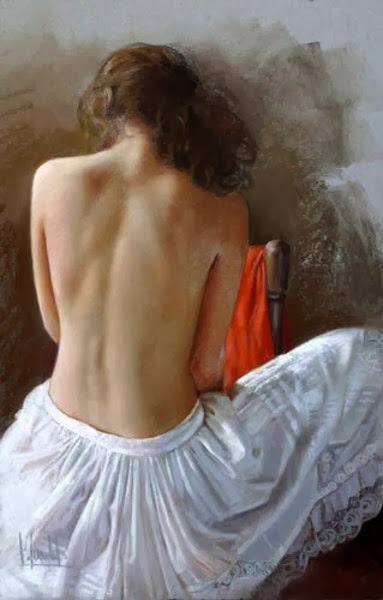 That’s by Luis DE LA FUENTÉ circa 1950. Labels: "Anton Blignault", "Champagne Baron-Fuenté Grande Réserve Brut", "Champagne Baron-Fuenté", "Champagne stopper", "Düsseldorf", "FMS Wine Marketing", "Lufthansa", "Luis DE LA FUENTÉ", "Prowein", "winesave"
No more wasting your precious wine! Now you can literally recapture the moment because you’re able to save those unique characteristics of your favourite wine perfectly – for up to three months! 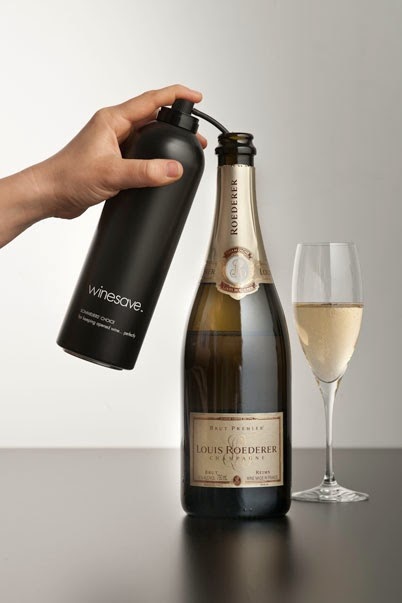 FMS imports and distributes winesave® exclusively in Southern Africa directly to cellar doors, hotels, restaurants, wine specialist shops, but private individuals may also order a single can. 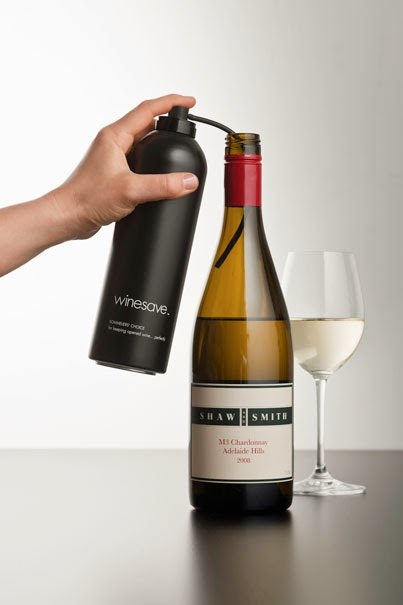 winesave® is an easy-application 100% argon gas can for keeping opened wine perfectly. Each large can contains at least 100 x 1-second applications. Exclusive agencies in African countries are also available. What the experts say of winesave®:- All the top critics in the wine industry support winesave, i.a. Robert Parker Jnr., Jancis Robinson, and Philippe GUIGAL. 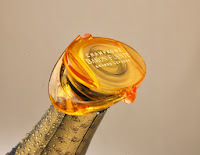 Moreover, it is used and approved in more than 40 countries such as Australia, the USA, the UK, France, and Germany. All our current clients are happy with winesave® and re-order it regularly. 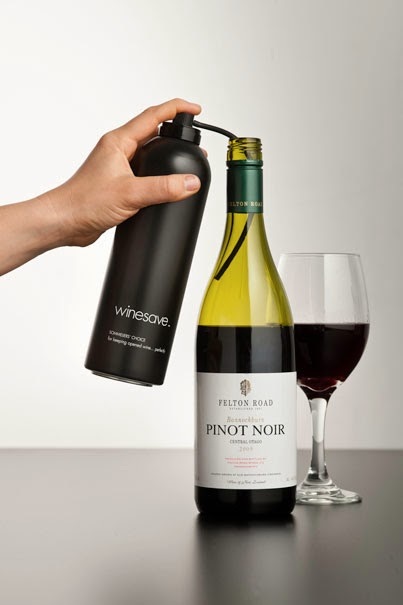 … there is a new and extremely simple product available that seems to be more effective than its predecessors for keeping wine fresh in an opened bottle. I have found it pretty good at preserving even delicate old red burgundy over a week. At last an effective wine saver that really works! It just happens to be called "winesave ". I have been carrying out some tests with grand crus etc and because it is Argon and sits atop the wine I have had no problems with wines stored up to 10 days. I tried it on the most fragile wine in my portfolio – one that is always undrinkable the day after opening. I had a third of a bottle left over at 5pm, winesaved it then looked at it three or four days later and it was perfect. I want all my sales reps using it. We have been using winesave® for a few months now and think it is great. 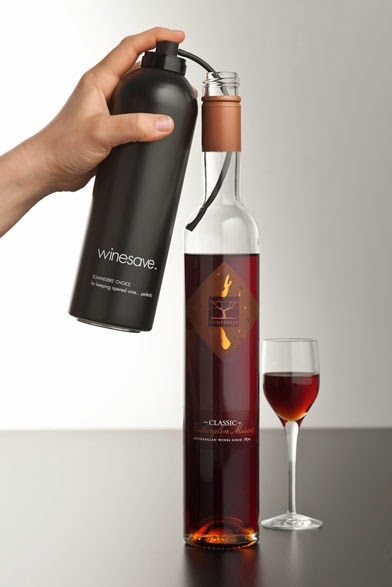 winesave® has absolutely revolutionized the way we serve wine in this restaurant. And it has totally eliminated waste for us. Wonderful. Michelle Lynch, Lento, South Yarra, Australia. Thank you for introducing us here at Village Roadshow to your wonderful product. With over 20 wines by the glass in our 9 locations wastage was one of our biggest issues… no longer since the introduction of winesave®. It has changed our world for the better! Distribution is by Globeflight couriers with delivery within two to five days. Please contact us at info@fms-wine-marketing.co.za to get yours and to ask for more information. Labels: "Anton Blignault", "Decanter", "FMS Wine Marketing", "Jancis Robinson", "Philippe GUIGAL", "Robert Parker Jnr. ", "winesave"